I’m not at home this evening- although not to far away, near Reigate. I’m on a 2 day meeting and staying in a nice hotel, watching the snow flutter down outside. Hotel food can be really hit and miss but the food here has been really good- breakfast, lunch and dinner. 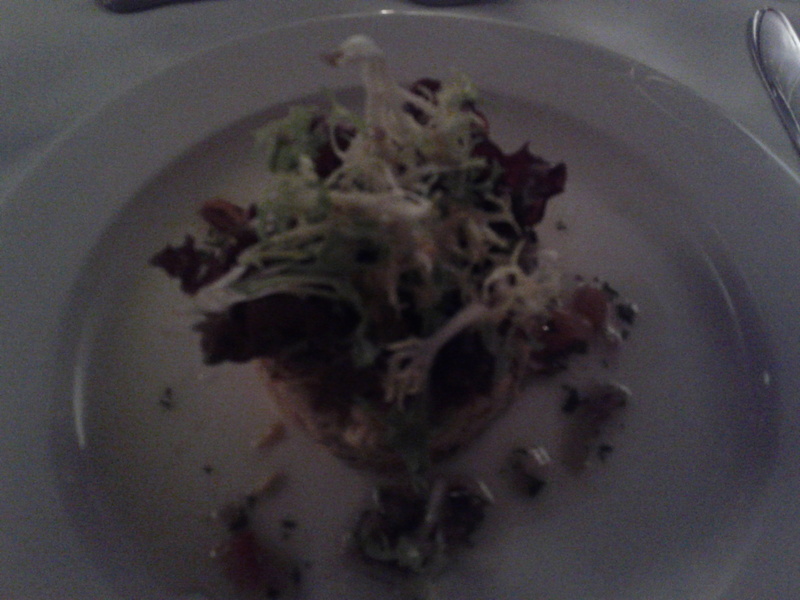 For dinner tonight I had a great starter of salmon tartare. Not a great photo, but it was clean tasting, light and a little zingy. For main course I had more salmon, but this time grilled and sitting on some griddled asparagus- lovely. Dessert was some fruit salad as I am supposed to be being good! A few glasses of wine, an early-ish night with a comfy nights sleep. But always better to be in your own bed with your lovely husband! Home tomorrow.